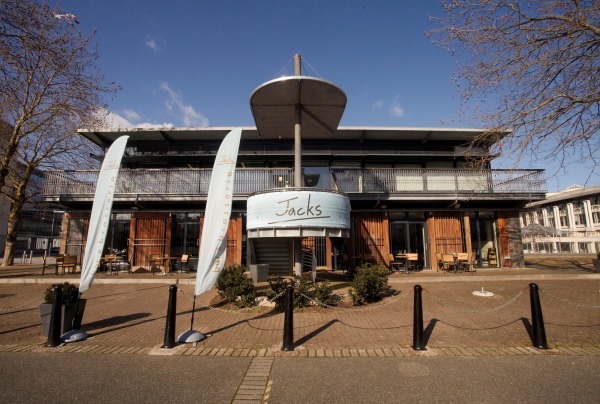 This Easter weekend Jacks Brasserie is offering fun for all the family with a Jack the Rabbit colouring competition for the kids and the launch of Jacks Fintastic Fish Fridays. On Good Friday, 6th April, the traditional day for eating fish, Jacks Brasserie will launch Fintastic Fish Fridays. Diners will have the chance to scale up their suppers by enjoying a whole fish and bottle of wine for just £35.00 with two people sharing. The fish will be sourced from the markets of Brixham and St. Mawes and will change on a weekly basis depending on the best catch of the day. Whether it’s monkfish tail, plaice, gurnard or sea bass, the fish will be simply baked whole with white wine and butter and served with seasonal vegetables. If prefered, diners can request for the fish to be filleted. The offer will be available at both Jacks Brasserie Bristol Harbourside and Jacks Brasserie Portishead Marina and will be available every Friday evening throughout the spring and summer months. Over the Easter weekend, as part of the first Chocolate Festival on Bristol’s Harbourside, Jacks Brasserie will run a ‘Jack the Rabbit’ colouring competition to help celebrate all things chocolate. Children dining with their parents at the Bristol or Portishead restaurants can enter the Easter-themed colouring competition, adding a splash of colour to a picture of ‘Jack the Rabbit’ while locating the hidden eggs within the image. When all the eggs have been located the children will be rewarded with a chocolatey treat. All the finished pictures will be displayed on the Jacks ‘Easter wall’ for judging and at the end of the weekend the winner of the ‘Best Picture’ award will be announced and will win a giant Easter egg prize to share with the whole family. 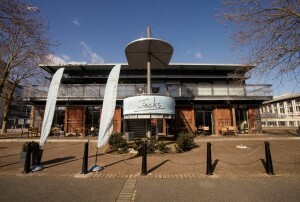 To book a table at Jacks Brasserie Bristol please call 0117 9453990 or e-mail bristol@jacksbrasserie.co.uk.